From the Outback to the Sydney Harbour Bridge to the Great Barrier Reef, Australia truly has it all. There’s so much to see and do that it could take you a lifetime to experience everything this continent has to offer. But you can’t go wrong by sticking to this list of the 10 best places to go in Australia. Sydney is the most populous city in Australia, and it's easy to see why so many people settle here. The cosmopolitan capital of New South Wales has all the shops, nightlife, dining, and museums you could ask for. 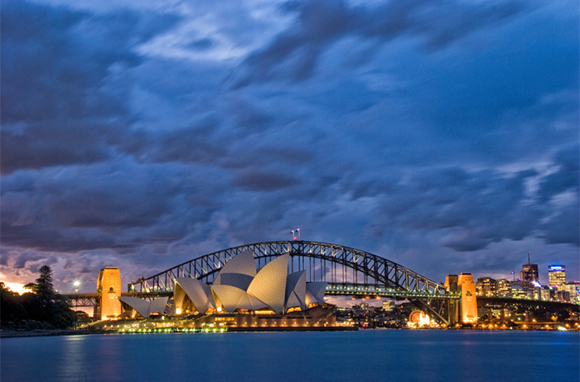 Tourists love the iconic sites of Sydney Harbour, including the Sydney Opera House and the Sydney Harbour Bridge. If you ever get bored of the city life, world-famous Bondi Beach is nearby. Bondi Beach is also the start of the Bondi to Coogee cliff-top coastal walk, a 3.7-mile trail that offers unbeatable ocean views. 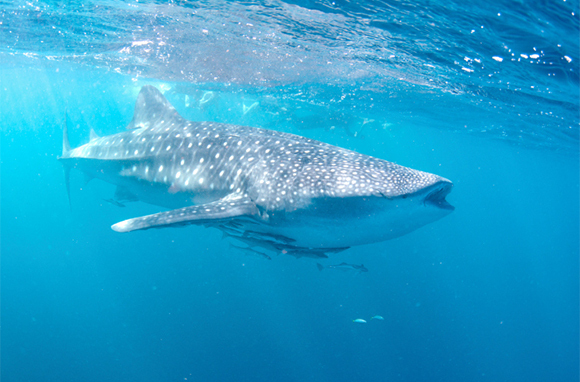 Western Australia's Exmouth is one of the few places in the world where you can swim with whale sharks. Although these fish can grow to be more than 40 feet long, swimming with them is perfectly safe as they eat mostly plankton and are uninterested in humans. Exmouth is also home to the Ningaloo Coast, with its amazing World Heritage-listed coral reef—Australia's largest fringing coral reef. (It's 161 miles long!) Even better, the reef is so close to shore that you can wade out to it and snorkel away—no boat required. There's plenty to do on dry land in Exmouth too, such as visiting Cape Range National Park. This park features deep canyons, beaches, wildflowers, emus, kangaroos, and more than 700 caves. If you're after great weather, Perth is the best place to visit in Australia—it's Australia's sunniest capital city. 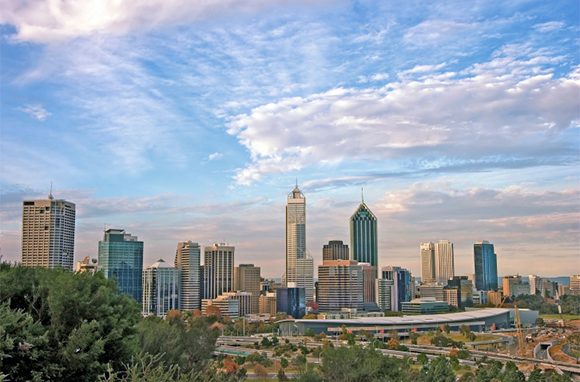 There are plenty of outdoor activities for you to enjoy in this Western Australian city. Check out Kings Park and Botanic Garden, a sprawling retreat of almost 1,000 acres in the heart of the city. It's full of natural bushland and wildlife and offers panoramic city views. Best of all, it's totally free to visit! Just south of downtown Perth, you'll find the port city Fremantle, one of the hipper destinations in Perth. Fremantle is both historical (there's plenty of maritime and convict history to explore) and modern (there are bars, eclectic shops, and so many coffee shops that there's an area dubbed Cappuccino Strip). A little farther out (about 11 miles of the coast) is Rottnest Island, a great destination for a relaxing day trip. On Rottnest Island, you can take a free guided walking tour, snorkel or swim, sun on the picturesque beaches, or rent a bike and explore. 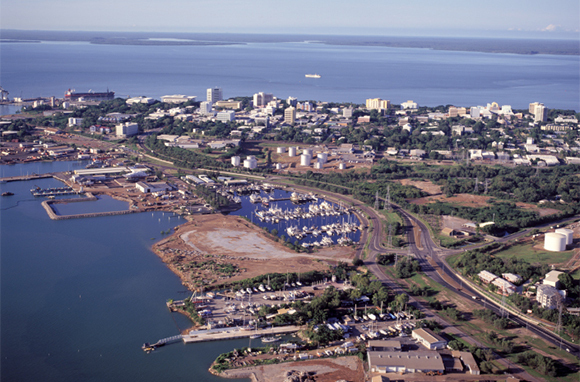 Did you know that Darwin has a bigger harbor than Sydney? This Northern Territory capital city is full of surprises. You can swim with crocodiles at Crocosaurus Cove, hand-feed wild fish in Darwin's Doctors Gully, or swim in Lake Alexander. If you're visiting Darwin between April and October, don't miss the Mindil Beach Sunset Market, held Thursday and Sunday nights. Food, arts, and entertainment are all on offer here. If it's the dry season, be sure to catch a film at the unique Deckchair Cinema. This open-air cinema shows movies seven nights a week in a beautiful outdoor setting. 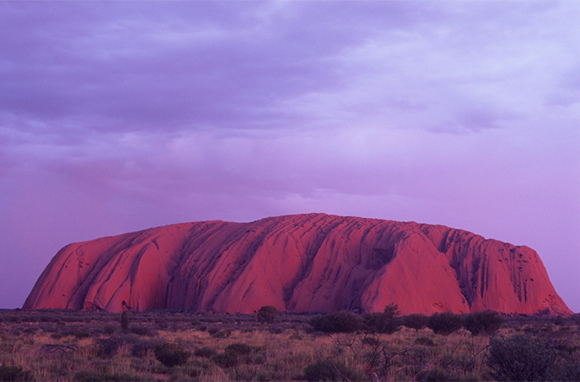 A visit to Australia just wouldn't be complete without a pilgrimage to iconic Uluru. The rock rises 1,142 feet out of Australia's Red Centre. Uluru sits in Uluru-Kata Tjuta National Park. The lesser-known Kata Tjuta formation is only about 25 miles away from Uluru, and both are spectacular to visit at sunrise or sunset. There are many ways to explore Uluru: You can ride a motorcycle around it, walk the base, go for a camel ride, or fly over it in a helicopter. 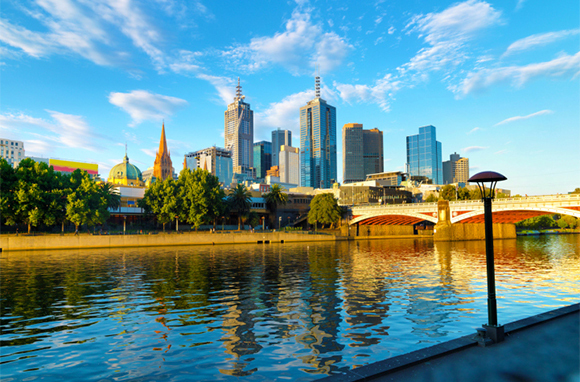 Animal lovers, Melbourne is the best place for you to visit in Australia. In Melbourne, you can see koalas, penguins, seals, and tons of other wildlife. The waters around Melbourne's Phillip Island are home to about 32,000 little penguins—and about 4,000 of those make their burrows on Summerland Beach. Every night, visitors are treated to a parade of little penguins as they come into the beach for the night. There's also Healesville Sanctuary, where you can see koalas, kangaroos, wombats, emu, dingoes, platypuses, and more. If you think Australia is remote, check out Tasmania. This island is located 150 miles off the southern coast of Australia, but the trip down there is worth it. 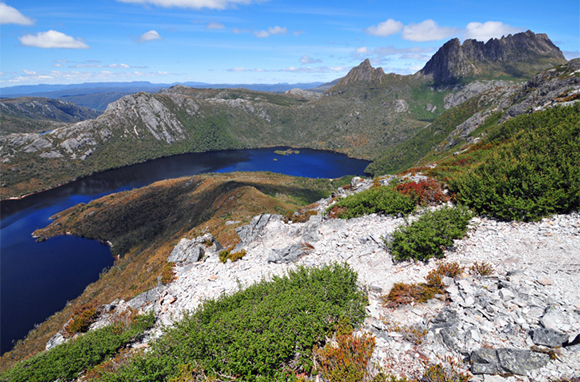 The natural beauty in Tasmania is unbeatable. Mt. Field National Park has mountains, lakes, rainforest, and waterfalls. Mt. William National Park is full of wildflowers in the spring and early summer and has gorgeous beaches year-round. There's plenty of culture in Tasmania too, from the historic site of Port Arthur to the Museum of Old and New Art (MONA). 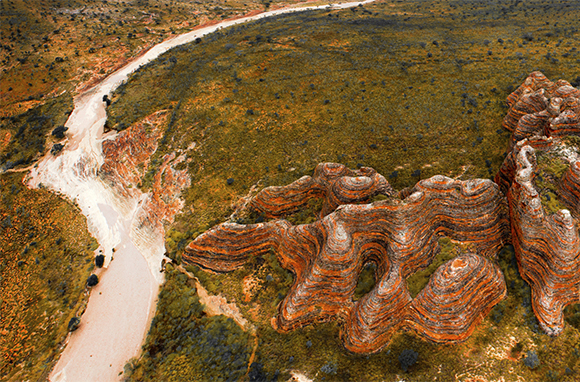 Australia's The Kimberley region is a true Outback experience. Although the region is more than 163,000 square miles large, it's only inhabited by around 40,000 people. The Kimberley is full of natural wonders, like the Staircase to the Moon, a natural phenomenon in Roebuck Bay that takes place when the exposed mudflats create an optical illusion of a staircase reaching for the heavens during a full moon. The Kimberley is also home to the world's only horizontal waterfalls, in Talbot Bay. You can ride the waterfalls' white water on a boat or experience it from above on a scenic flight. Just off the coast of Queensland is a 74-island group known as the Whitsundays. The Whitsundays are a great base from which to explore the Great Barrier Reef, as they are the closest points off the Queensland Coast to the reef. 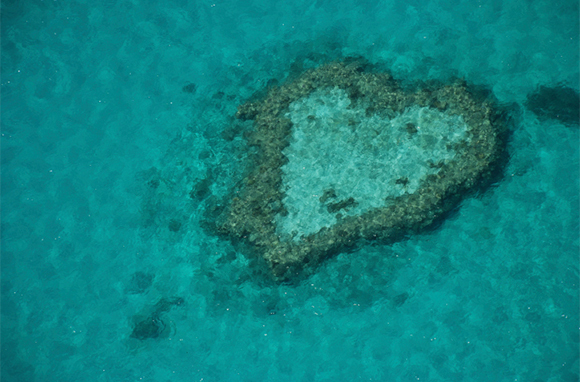 Don't miss the Heart Reef, which is exactly what it sounds like: a reef that is naturally shaped like a heart. With white-sand beaches and crystal-clear water, the Whitsundays are heaven for water-sports enthusiasts. 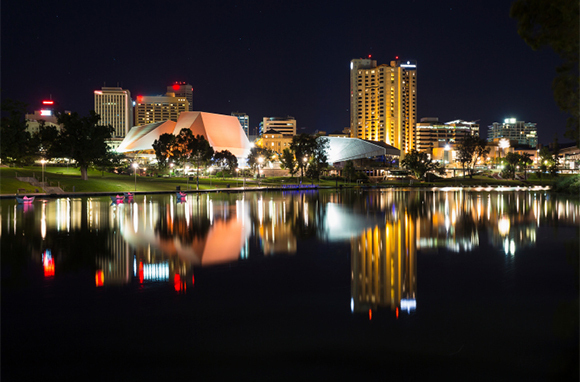 Adelaide is nicknamed the "20-minute city" because everything in the city is so accessible. The airport, for example, is only four miles from the city, and the best beaches are less than a half-hour drive away. Within the city of Adelaide there are 29 parks, as well as a number of beautiful beaches. One of the best times to visit Adelaide is in "Mad March," when the Adelaide Fringe, Adelaide Festival, WOMADelaide, and Clipsal 500 Adelaide events all take place at the same time.